The Ultimate Website Development Guide: Build Business Websites, Better. The Best Tips, Resources, and How to Get Started with Your Business’ Website Development Process. If you own a business or company and need help designing and build your business website, you have arrived. These tips, tools, and resources will help you create a website that convert more customers, has increased revenues, and acquires more leads. As you know, having a website for any business is generally expected now. Customers and potential customers want to be able to find your contact information online (and let's be honest, who has a phone book anymore) and do a little research about your company before deciding to purchase. While there are many tools out there to help you do it yourself with setting up your website, having a website developer can help you with getting everything you had hoped to out of your site. You want to maximize the potential of bringing in new customers through your website, so consider customer website development to meet your specific needs. To help you get started in understanding what website development is, what you need to get started and how to best manage the process, we’ll cover some crucial tips and information in this guide. How Much Does Website Development Cost? If you’re ready to start building your website or need to upgrade an outdated one, you’ve come to the right place. Let’s start your project on the right foot with detailed information you’ll need. Website developers are professionals who know how to build everything from simple websites to complex web-based applications. A web-based application can be anything from the social media platforms you use to your bank's online banking functionality. Security, design, and ease of use are all things a website developer thinks about when working on websites. Website developers use various types of code to bring to life the vision of a designer or project manager. The functionality of a website is handled by different types of code as well, so it’s best to have an expert evaluate your needs and make a recommendation on next steps for your website development project. Website code takes many different forms, though there are some primary code types that you'll hear discussed as you begin your website development project. Generally, website developers specialize in a kind of code, but they might be familiar with many different types or have a team that can develop within many types. These website code types are often referred to as code language. That's because there are specific symbols and functions the developers use to tell web browsers what to do and how to read the language. Let's take a look at a few to understand better how they are used and why. Website development using ruby coding language. Ruby tends to be a very friendly and forgiving code language since it can fill in the blanks where you need them. This means fewer lines of code, making it simpler to build something from scratch using the code language. This is a popular coding language for beginners or startups to use because it’s so easy to use. The goal of the programming language is to keep it simple to increase productivity and be natural and easy to write. The Gainesville Music Associate website is built using Ruby. Website development using Python coding language. Python is one of the simplest and most straightforward coding languages. Created in the early 90s, it tends to be a popular language because of its ease of use. The coding language uses ample whitespace to make it easy to read and understand the code. Although it is clear and easy to use, Python is highly scalable to meet the needs of your project. It features automatic memory management and multiple programming paradigms. Both Pinterest and Instagram are built on Python. Website development using PHP coding language. PHP is used for data-heavy websites. The open-source language is easy to modify to meet the needs of your website or mobile application. PHP can be embedded into HTML to enhance the functionality of your website. Popular websites you're familiar with using PHP, including WordPress and Facebook. While both websites and mobile applications take a developer to create, there are many differences between the two. The primary difference between the two is that mobile apps require development for each platform they are used on. So, if you’re planning to submit your application to both iOS and Android, your developer will need to create a version of the app for each platform. Conversely, websites generally function similarly no matter what browser a user is viewing the site on with some limited exceptions. Another difference in website and mobile application development is in the coding language used. Because mobile apps are designed for a specific device, there are more limitations on what coding language the application can be built on. For example, iOS usually uses Objective-C or Swift, and Android uses Java. Websites can use the language that best fits your project type and functionality needs. You'll also find that mobile applications can be more complicated because they can use aspects of the device, such as location services or the camera. This can both open doors to further opportunity and make the development process more complicated. Within website development, you can ask a user to use their location, but there aren't as many additional functions at your disposal as there are with mobile applications. Generally, mobile applications take longer to develop than websites because of the nuances and guidelines around how you must develop them to operate on the device. There is also an approval process for getting your mobile application in the app store for that device, which can take some time. While the two are different, they can go hand-in-hand with your business strategy. Think about Facebook. The ease of using it on a native mobile application adds to the addictive nature of the app, and the fact that you can view it in your browser means you can access it anywhere. This means more eyes on the content and therefore more ads Facebook can sell, increasing revenue. Web development can be the key to your company’s success. Your website might be the first impression a prospect has with your business. That means that you need to put your best foot forward when initiating that relationship. But what keeps them coming back to your business? A good experience, which means your website must still be easy to navigate and function the way that a customer hopes it will. If it’s difficult to shop online with your business or hard to find details on what the customer is seeking, they’ll go elsewhere. Let’s be honest, there are many options when browsing the world wide web, which means you need to stand out in some way. To create a beautiful website that enables you to have an excellent first impression and ensure that the right functionality is in place to keep them coming back, you should hire an experienced website developer. Website browsing still accounts for 41 percent of all total time across desktop and mobile device screen time, according to comScore. Apps account for the other 59 percent. Depending on your audience though, website browsing can account for as much as 59 percent (65+ age group). This means that you can’t only focus on the mobile application side of development. You still need a good website where visitors can learn more about you. When you visit a website, you likely see pages with images, words, and formatting. While these are all elements of a website, there are two main aspects that website development covers: front-end development and back-end development. Front-end development includes the aspects of the website that the customer sees, hence the name front end. Front-end developers use CSS and HTML to create the beauty of the website that visitors experience. Back-end development is sometimes called the server side of development. It includes the nitty gritty details of how a website works, is updated and receives changes. These developers focus on the website’s security and the code they develop talks to the server to tell it what to do. Their coding language makes the website something the database can hold and understand. Full stack developers are those trained in doing both front-end and back-end development. These developers are nice to have if you're a startup business or looking to do more with less. All Vail Networks developers are full stack so that they can serve our customers from start to finish. Just like fashion trends, website trends are continually evolving. From SEO requirements to the look and feel of websites, the need to stay current is constant. Sometimes this means a full overhaul of your website and other times it’s just a facelift or design refresh. You might not recognize the first iteration of some popular websites. Here’s a look at the evolution of some of the top online companies and how they’ve changed over the years. Google launched in 1998. The page indicates that it indexed 25 million pages and enabled you to search just within Stanford University. In its earliest days, it featured an “About Google” link prominently on its homepage since it wasn’t a known entity yet. Fast forward five years to 2003 and you'll see Google has graduated to indexing more than 3 billion web pages. You can also now search based on categories, such as images or news. Google also gave the option to complete advanced searches so you could dig deeper into finding what you were looking for. In its earliest days, Facebook (also known as “The Facebook” at the time) was exclusive to only select universities. On the homepage before logging in, the platform made it clear what universities had access. From there, you could log in to learn more and be part of the community if you were a student at one of those universities. Fast forward five years and the transformation is astounding. Mostly because the graphic on the homepage now shows the entire world and the way Facebook connects everyone. The platform shook off its original exclusivity and redeveloped the website to accommodate such traffic. Microsoft is one of the tech giants of the world, but if you look at their first website in 1999, you probably wouldn't know it. It's a series of blue links on a page with a menu bar up on top. There isn’t much that’s interesting about the page at all. Move ahead 10 years to 2009, and you'll see a massive transformation. Now there is a featured special on a banner, and the background has some texture to the color instead of being flat. You can search the web using Bing or download the latest version of Internet Explorer from the helpful tiles on the homepage. This website was nothing special to look at when it first entered the scene to become a significant disruptor in the hotel space. It was pretty dull to look in 2009, but it covered the basics of the dates of your stay and the location you'd be staying. In 2014, just five years later, the website had undergone a massive transformation. It shows homey photos on the homepage with a search bar over the top. Now, before you even input a location, it makes some top city suggestions with tiles right under the main banner. You'll also find information on their screening process for hosts and how to stay safe when renting. In 2011, Uber launched with a pretty simple website. The image of a car with a grey background and a button to sign up is about all you get. Little did they know that eventually, Uber would rival the cab companies. The website is focused on consumers looking to catch a ride. Five years later, the website is more focused on getting drivers to sign up with the service as the mobile app is where consumers go to find what they are looking for. The clean website features a banner image and login or sign up screen along the right hand of the page. In 2012, when the service launched, the website served as a landing page for downloading the mobile app. There isn’t much imagery, and branding is quite light. By 2017, the website focused more on recruiting new drivers and serving as the landing page for them to log in to learn more about their work or sign up to be drivers. The branding on the website is much stronger at this point, and the page is much more visually appealing. Website development costs vary based upon your project needs. If your website is basic and you're just looking for a custom design, you might only need to spend a few thousand dollars on hiring a developer to help. If you’re looking to build an online application, expect to spend much more, perhaps even as much as six figures depending on your application. You should get a few estimates before hiring a website development company. Here’s a look at what you can expect to pay for each type of website development arrangement you can choose. At face value, freelancers often look like the least expensive option for your website development needs. Generally, freelancers cost about $30-$150 depending on the level of experience. The catch to hiring a freelancer for your website development project is that they often focus on one aspect of development and might get stuck on other elements. Freelancers can end up costing you more because you might need to hire additional team members to help out with unforeseen parts of the project that your original freelancer can’t complete. A freelancer can also take more hours to complete a project because of a lack of team support to cover every aspect of the project, meaning more time researching and less time executing. On a per hour cost, an agency averages $125-$200 an hour. An agency has many resources to call upon to complete your project. From back-end developers to designers, an agency can help with all aspects of your project. An agency is available during regular business hours and often has an after-hours support line you can call in case of emergencies, but work is completed during normal working hours. An online model offers prices ranging from $75-$125 per hour. Online website development companies have the added benefit of working around the clock because developers can be located anywhere in the world to hand off work after a shift. This model is especially beneficial if you’re looking to expedite your project on a reasonable budget. At Vail Networks, we’re an online model for your website development project that strives to make the process as simple and easy as possible. We walk you through every step of the process to ensure you’re comfortable with the project and that we’re executing it according to your goals. Here’s what you can expect when you work with us. Onboarding: Our team reviews your current website(s) to learn your specific goals. In our first call, we spend as much time as necessary to determine how we can help your web presence and what we will do to help. Wireframes: We start with UI/UX experienced full-stack developers to create wireframes and mockups. We revise and rework the mockups until you're satisfied. Prototype: Within 4 weeks, we have a new working prototype of the website. Revise and optimize: We are continually revising and redesigning to achieve highly converting websites. Our team uses A/B testing to ensure the best result. Our Vail Networks pledge is that we design around increasing your leads and conversions, and our design and web development is centered around increasing revenue for any online e-Commerce business. No matter the size of your website development project, a project management software can keep you up to date on what’s happening and allow your development team to stay in close contact throughout the project. Website development software can help team leaders spot problems holding a project back or concerns on timeline setbacks. To help your project run smoothly, here’s a look at the top seven best project management software platforms for website development. Quire is simple and easy to use. It can take the most complex project and break it down into simple tasks that you can assign to different team members to ensure everything gets done promptly. Each sub-task can have its own deadline to keep things rolling. You can set predecessors so that you can see where a task is stuck with its sub-tasks. This could be the most helpful of your website development tools. This platform makes it easy to see how your project is doing with different views and visualizations of the project. You can invite different team members or collaborators to various projects. Track time and expenses using the platform so you can reference total project cost. The software helps you get deep into the details of your software development project. Project managers who think about projects visually will enjoy working in Casual. Casual allows you to build flow charts and base your project tasks and timeline on the flow chart. From there, the project management software organizes your tasks based on deadlines. 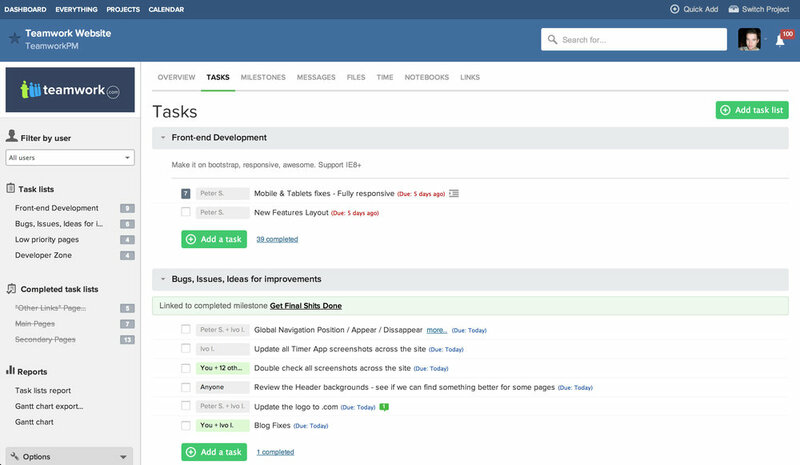 So, you can have tasks next to one another even when they're from different projects and boards. It helps people work on multiple projects at once but still stay on deadline. Avaza allows you to view your tasks as Gantt charts, a Kanban board or within the list view. Keep track of your budget and resource planning using this project management software. It integrates with other tools, such as Dropbox and QuickBooks to make your project run smoothly and free up your project manager's time. Paymo offers all the features you would expect to see in a project management software, including Gantt charts, Kanban boards, resource scheduling, and budgeting. Its integrations with Hubstaff and Zapier make it an even more attractive tool for your business. See in detail everything related to your project. This includes each task, calendars, and milestones. Teamwork integrates with Zendesk, OneDrive, Box, and others to make for seamless tracking among your team. 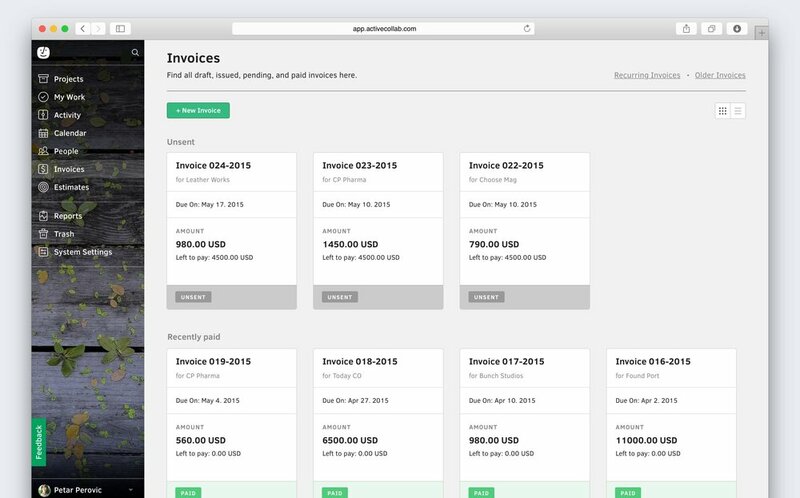 You can message other people from the project through the system and track time to projects so you can easily bill your clients. Here’s how to hire a website development company. As you prepare to interview and discuss your project with website developers, there are a few things you should keep in mind. Remember that there is a difference between front-end, back-end, and full-stack developers. You need a mix of front- and back-end developers or full stack to make your project run smoothly. Be sure to get a website development proposal detailing out what you will get before you choose your partner. This proposal should list out all website development services that the partner will provide. Your team of developers is well vetted to ensure they are prepared to meet your needs and exceed your expectations. We hire developers from universities as well as schools, such as “Lambda School.” This helps us ensure that they have what it takes to complete your project with excellence. Even once we’re sure they have the right education, we put our developers through testing before hiring them. Sometimes, we even have them become apprentices on existing web development projects before offering a full-time position. It’s that important to us that the team is prepared to meet our clients’ needs. We offer a variety of plans to meet the speed and depth of your project needs. Here’s a look at the three tiers of options for working with Vail Networks. Vail IT Support | Managed Service Provider – Maintaining code and databases for websites and online applications. Vail Networks’ Web Development | Custom Build – Team of 5 to 10 Web Developers, Full-Time. Vail’s Light Speed Development | Goal of 90 days or less, sprints – Team of 10 Web Developers, Full-Time for 90 Days or Less.